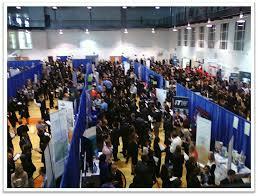 January 29: Gies Spring Business Career Fair. If you’ve never been to a career fair before and plan to go to the April 11 Illini career fair, then a practice run at the Gies fair is a good idea. Use the link above to research a couple of employers you can talk to, revise your resume and print out a bunch of copies (as many employers as you want to talk to X 2, plus a few extra, and put together an appropriate business professional outfit (doesn’t have to be a black suit!). February 8: Arts and Culture Career Fair in Chicago. Email Julia Rundell of the College of Fine and Applied Arts (jrundell@illinois.edu) to reserve a spot on the bus to Chicago for this event at the University of Illinois at Chicago. Talk to representatives from performing arts and cultural organizations about full-time jobs, internships, and volunteer opportunities. Bring multiple copies of your resume and dress business “smart” with some creative flair. March 4: Educators’ Job Fair at Eastern Illinois University. Lots of great opportunities here for seniors completing their secondary ed teaching certification. March 12: Research Park Career Fair. Small fair at the I-Hotel for employers based in Research Park. Lots of internships (full-time in summer, part-time during school year) and some full-time jobs. The demand is mostly for STEM students, but there will be non-technical opportunities. How should you dress? It’s easy to overthink it. NOT wearing the wrong thing is much more important (and easier) than choosing the right thing. Here’s some accurate, no-nonsense advice from the Career Fair Plus app. Need to add to your wardrobe? The Career Closet in The Career Center is a free resource for students. Wondering about the “elevator pitch” you keep hearing about? People use the term to refer to a brief summary of your experience and interests that you can throw at potential employers at career fairs. Chances are you don’t need one (at least not the way they are usually understood). As an English or CW major, one of your strengths is your communication skills, and an elevator pitch can be a lousy way to convey it. If having a full-blown elevator pitch cued up will help you feel more confident, here’s some excellent advice about how to craft it. You may have more success, though, if you plan in terms of having a conversation with the recruiter rather than “pitching.” Take the time to learn about the employers you want to talk to and have some smart questions in mind to ask about the company or the openings you want to apply for. Listen carefully to the answers you get, and look for ways to use them to talk about the strengths you would bring to that specific role. Need help with your resume? Start with the Illinois Template. It’s a resume format that career fair recruiters are used to seeing, and it helps make you seem familiar and prepared. You can get advice on revising your resume from Kirstin Wilcox, Director of Internships by calling 333-4346 to set up an appointment. The Career Center (715 S. Wright St.) has walk-in hours for resume review Monday through Friday from 2:00 to 4:30. This entry was posted in Uncategorized by KW. Bookmark the permalink.